Republic Day in Somalia is a national holiday, that marks the day in 1960, when the Trust Territory of Somaliland and former British Somaliland united to form the Somali Republic. These changes led to formation of a new government, election of the first president and adoption of constitution. 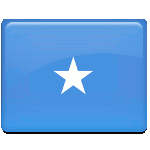 Before the constitution went into effect, a people of independent and united Somalia had ratified it in a popular referendum on July 20, 1961. Before 1960 the Somali Republic was divided into two separate territories, administered by Italy and Britain. Britain controlled the northern part of Somalia, while the rest of its territory belonged to Italy. British Somaliland gained independence from Britain on June 26, 1960. This day is marked by another holiday in Somalia, Independence Day. On July 1 Italian Somaliland gained independence from Italy and united with British Somalia.